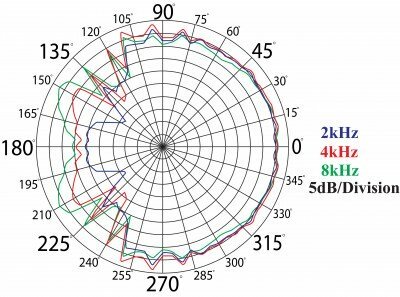 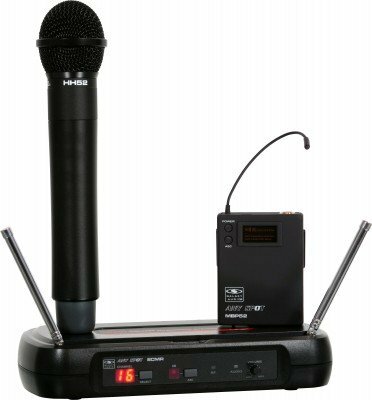 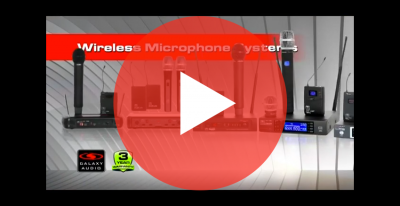 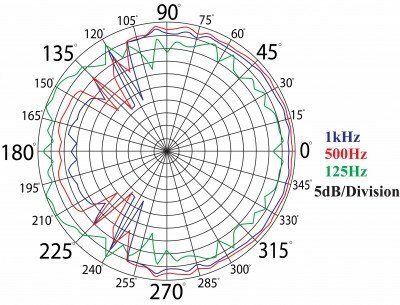 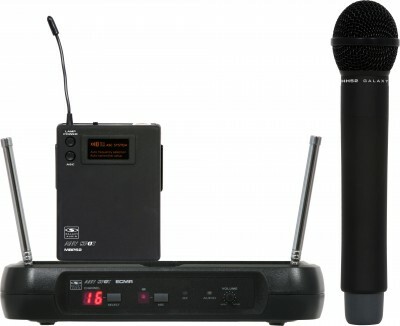 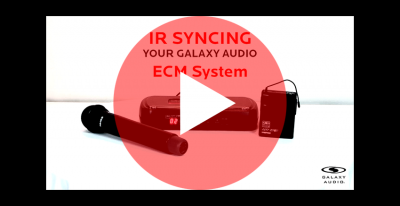 The ECM Wireless Receiver is an economical solution to a great wireless microphone system. 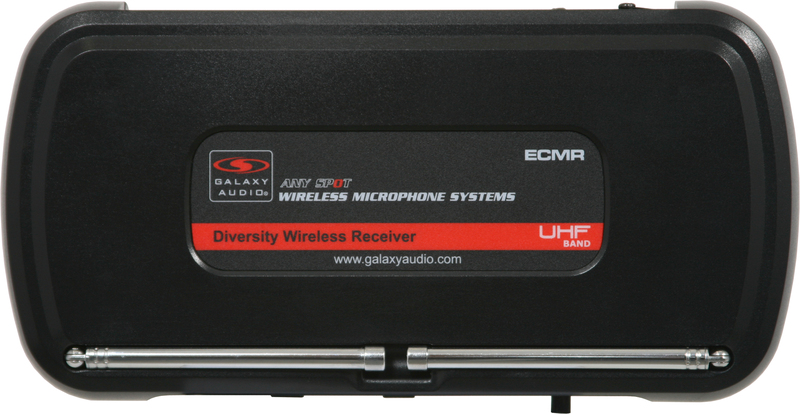 The ECM has 16 selectable channels, IR Sync, Diversity Antennas mounted to the front of the rugged plastic casing. 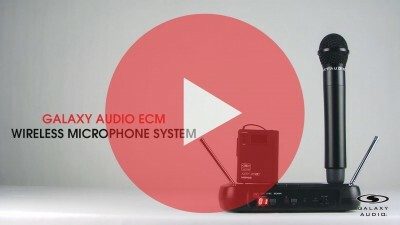 The ECM is available with a handheld, body pack with headset or lav, or instrument cable. ECMR/HH52 - This system includes the ECMR Receiver and the HH52 Hand Held Transmitter. 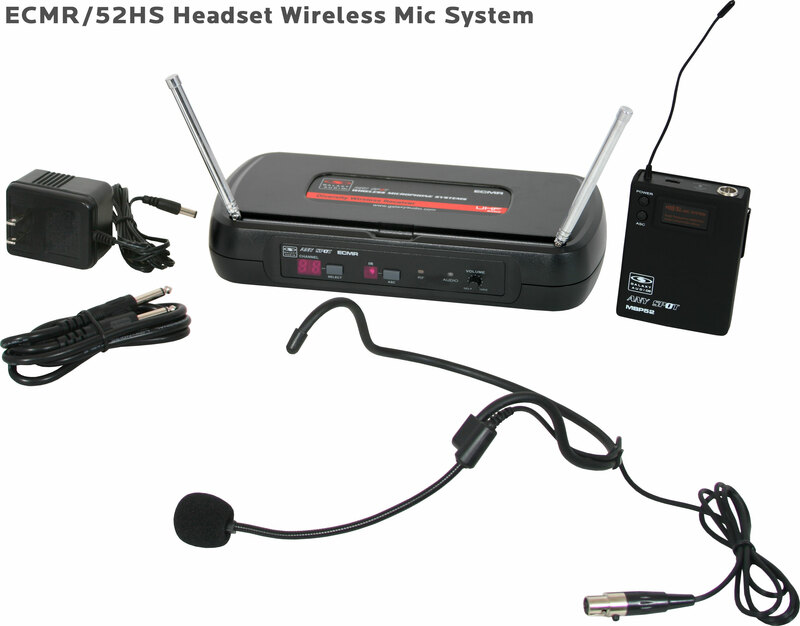 ECMR/52HS - Wireless Headset Microphone: Fixed Frequency, Adjustable Gain, Hooks over both ears, Flexible 5" boom, On/Off and Mute Switch, Low Battery Indicator, Operates from 1 "AAA" battery, Choose L1 or L5 frequency, 7 hour Battery Life, Windscreen. 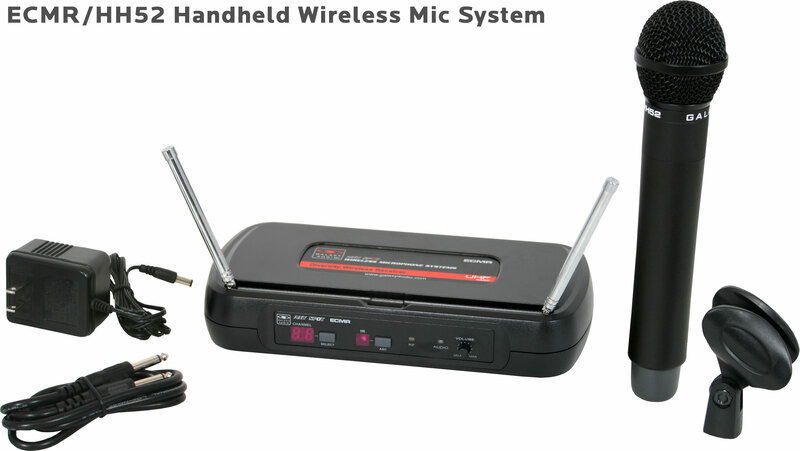 This system includes the ECMR Receiver, the MBP52 Body Pack Transmitter, and the HS-U3BK Headset Microphone. 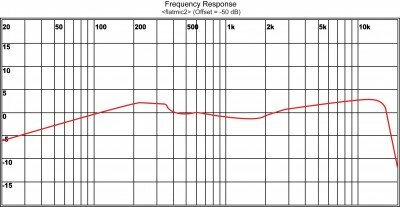 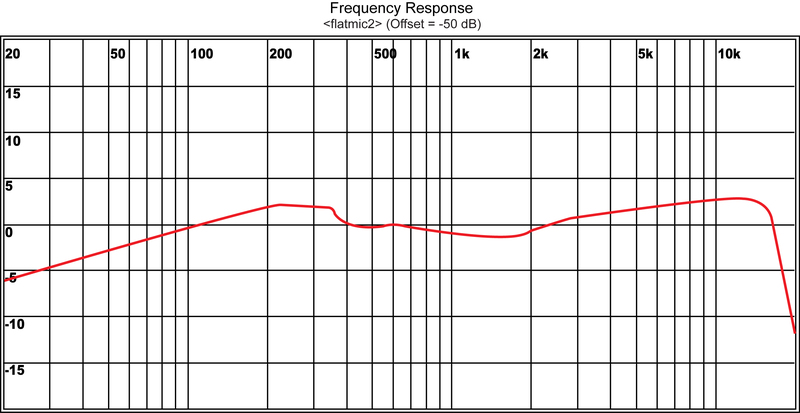 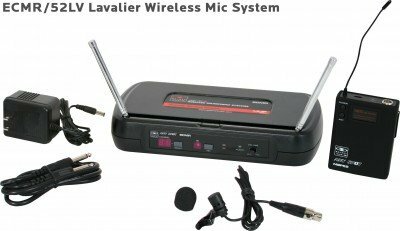 ECMR/52LV - Lavalier Mic: Uni Element, Lapel/Lavalier, Frequency Response 50Hz-19kHz. 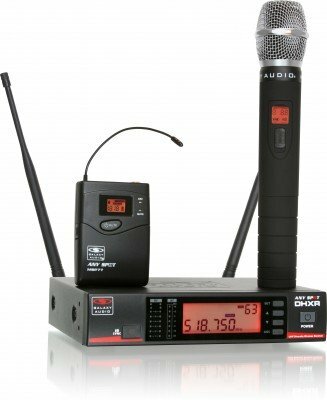 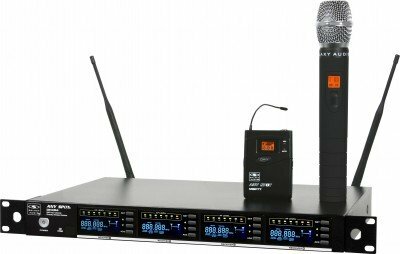 This system includes the ECMR Receiver, the MBP52 Body Pack Transmitter, and the LV-U3BK Lavalier Microphone. 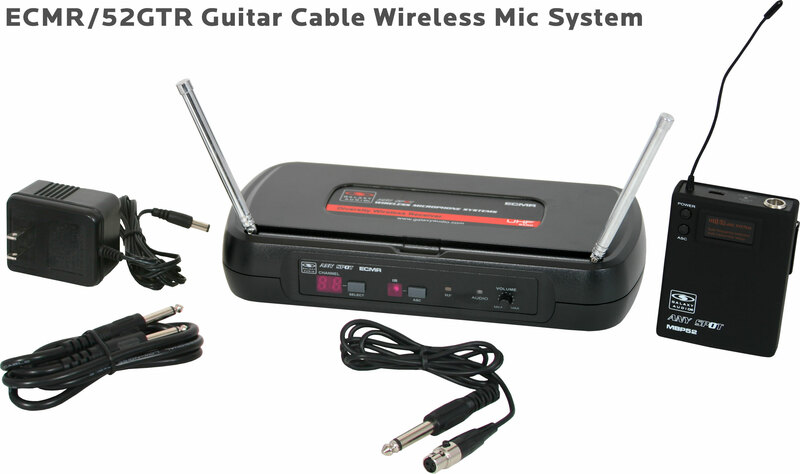 ECMR/52GTR - Guitar Cable (AS-GTR): 1/4" cable, TA3F connector, 1/4" to mini XLR connector, use with any guitar or bass guitar. 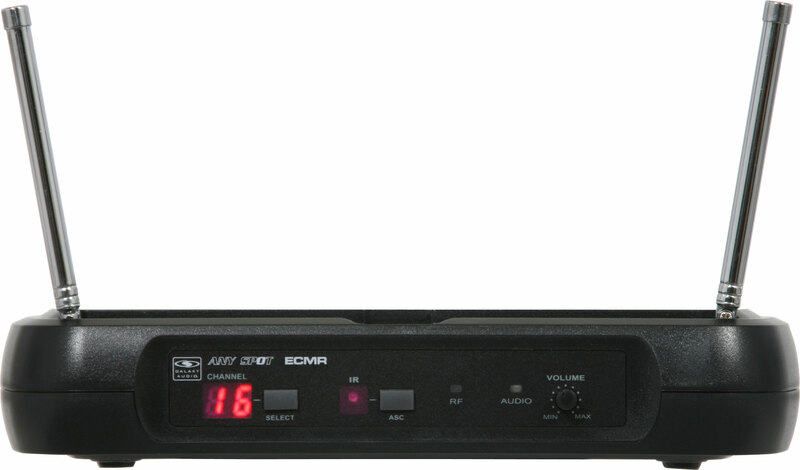 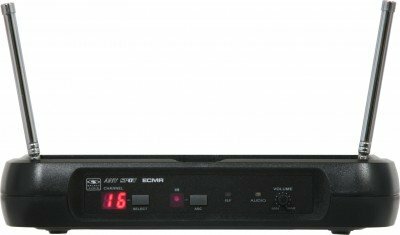 This system includes the ECMR Receiver, the MBP52 Body Pack Transmitter, and the AS-GTR Guitar Cable.